Plenty of room for folks to fish! After work fishing trips are available! Call or email for more information. Increases in fuel costs may cause prices to vary from what is posted. Contact me for more information. For fishing trips, I provide: fishing tackle (rods, reels, hooks, bait) or you can bring your own; fishing license and ice. You need to bring your refreshments and snacks in your cooler (you'll need it to bring your fish home! ), and don't forget the sunscreen. I will have a mate that will assist you with bait, tackle and to help you make your trip an enjoyable one. My mates work for tips and if they do a good job for you, please be generous. The usual tip is about 15%. Fish cleaning MAY be available for an additional tip. Other tours are available, call or email for more information. My boat, His Doghouse Too, is moored in Little Creek at Bay Point Marina, near the Norfolk, Virginia Beach border, within easy reach of the Chesapeake Bay Bridge Tunnel, the Atlantic Ocean, and the Norfolk harbor. His Doghouse Too is a 2004 38’ Luhrs 38 Open. 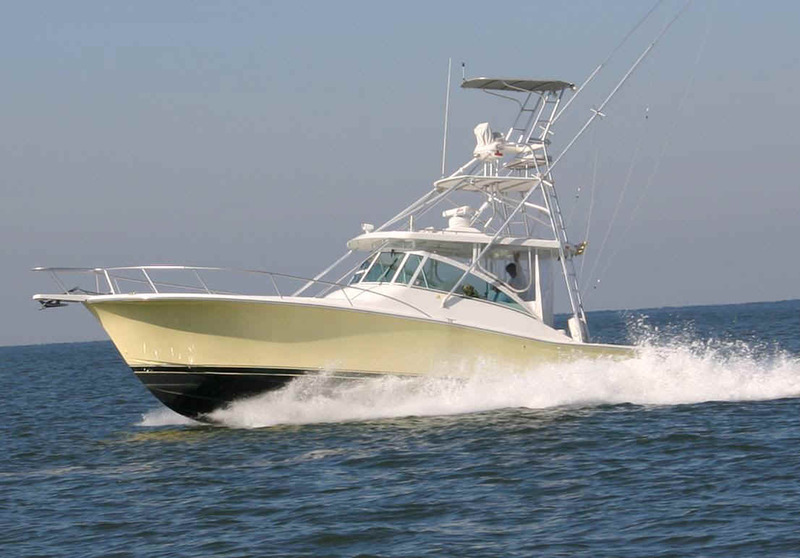 She is equipped with twin 500 HP Yanmar Diesels and a 8 KW Generator. She is outfitted with a VacuFlush head, full galley, Heating and Air Conditioning, Radar, GPS, Sonar, Autopilot, an offshore life raft and EPIRB and all required U.S. Coast Guard safety equipment. If you have any additional questions, feel free to contact me at the email address or phone numbers below. Captain Joe is a retired U.S. Navy Commander Surface Warfare Officer. During his Navy career, he served aboard a variety of Navy warships, in Deck, Operations and Engineering departments. Based upon his Navy experience, he successfully completed a comprehensive battery of tests administered by the U.S. Coast Guard to receive his Third Mate's License. In his over five year Merchant Marine career, Captain Joe served aboard various merchant vessels, where his sea time and experience permitted him to test for his Second Mate and Chief Mate licenses. He also obtained his license as Master of Ocean vessels of not more than 1,600 Gross Tons. His Doghouse Charters is an endeavor that will allow Captain Joe to share his wealth of nautical experience and love for the sea with the community. Captain Joe is a member of the Virginia Charter Boat Association. Click here to go to Kathy & Joe's page.